Great for history buffs—and those who want to take in the sights of Florence away from crowds—this evening boat tour lets you enjoy the city in a uniquely relaxed way. Your small group (with a maximum of 25 people) will get both a brief walking tour on the way to your barchetto, and a leisurely boat ride along the Arno—all while learning the city’s stories and history from your English-speaking guide. After meeting your group (at either 6 p.m. or 7 p.m.), you’ll take a half-hour guided stroll from Piazza Signoria to the embarcadero (where you’ll board your boat). 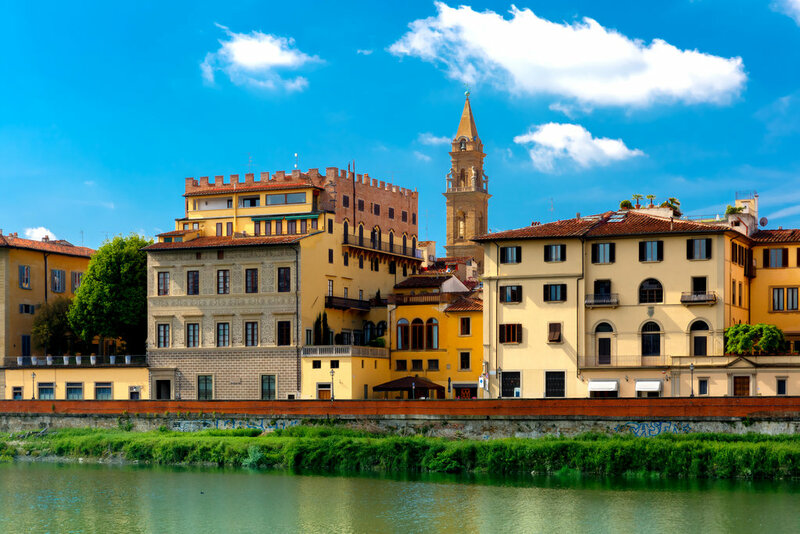 Along the way, your guide will point out important sites—including the Palazzo Vecchio and Uffizi gallery—and share their history and significance. Once you reach the embarcadero, you’ll board your barchetto—a traditional wooden gondola-type boat, only a few of which still ply the Arno. As your barcaiolo (boatman) gently poles your vessel along the river, you’ll float past the Uffizi gallery and beneath the beautiful Ponte Vecchio, then past the Santa Trinita Bridge and the amazing Palazzo Corsini. You can sip a glass of Prosecco as you listen to your guide’s colorful local stories and lore about these sites...and watch the sun lower over Florence. Please be sure to arrive at the tour departure point 15 minutes before the starting time. Guests arriving after departure cannot be accommodated, and missed tours will not be refunded. Please inform us if you plan to bring children younger than 5 years of age on the tour.